August flew by -- a blur of suitcases, cityscapes, and new faces. I spent one a weekend in San Francisco dancing around at Outside Lands, and then popped down to LA a few weeks later to attend Yellow Conference. (Which, by the way, was absolutely incredible and empowering. I'm so inspired to make some changes around here soon.) Somehow we're nearly through September, and it's finally starting to cool down out there. I'm talking one layer of sleeves if we're lucky. But I'll take what I can get. Just waiting for fall to really set in so I can break out my boots! I'm sure we'll be in scarves soon enough though! That being said this playlist has been a long time coming. It's been just sitting in my Spotify account since the end of July. It's been in my commute cycle constantly and I thought it was finally time I released it into the wild. This is probably the longest playlist I've shared with you all. It's nearly 2.5 hours long, and while it starts out slow and mellow about halfway through it picks up the pace. I opened it with some really beautiful covers from Years & Years (Joni Mitchell's 'Both Sides Now'), Ady Suleiman (Bill Withers' 'Lean on Me'), and the Staves (Bruce Springsteen's 'I'm on Fire'). While listening, please take the time to cry a little bit over Amber Run's 'Haze' and Ben Howard's 'Old Pine'. I'd like to think that Jacob Banks' 'Sink or Swim' is the turning point where things start to pick up. 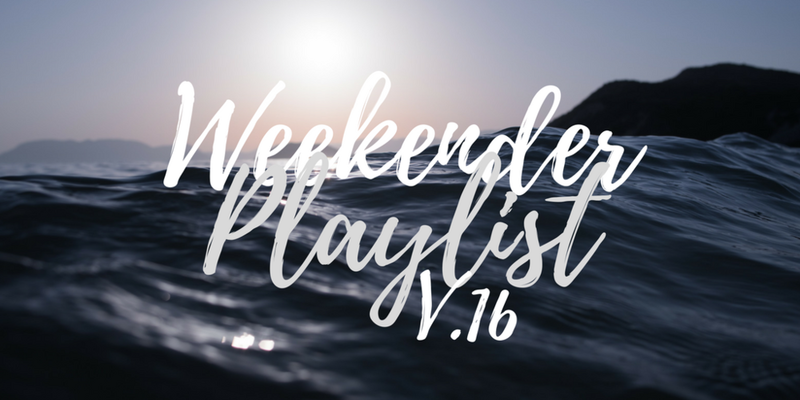 Some of my other favorites are Alice Gray's 'Pink Cadillac', Billie Eilish's 'Bellyache' (Marian Hill Remix), and Ryn Weaver's 'Pierre'. Also, I put a few tracks from Dua Lipa in here. Her debut album was the perfect background for summer. She just did a cover of Amy Winehouse's 'Tears Dry on Their Own' with Gallant for Amy's 34th birthday (Can we just take a second to recognize how immensely talented Amy was?). Lastly, I closed the playlist out with Sevdaliza's 'Human'. It's equal parts dope and weird as hell.